VITA ENAMIC® is the first dental hybrid ceramic with a dual network structure. In this dental material, the dominant ceramic network is reinforced by a polymer network with each network penetrating the other to create a hybrid material that exhibits the positive characteristics of both a ceramic and a composite. VITA SUPRINITY® is the world’s first new generation of zirconia-reinforced lithium silicate glass ceramic. Excellent translucency yields superior aesthetics. 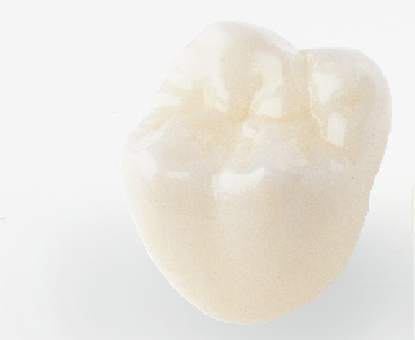 Ideally suited for anterior, posterior and implant crowns, veneers, inlays and onlays. Vast load capacity. Exhibits massive strength and guarantees perfect distribution of masticatory forces. A very reliable hybrid material, offering an integrated crack stop function thanks to its unique dual-network structure. VITA ENAMIC® provides the elasticity required for minimally invasive restorations; healthy tooth substance can be preserved by reducing the wall thicknesses. Natural results that match the tooth shade it features outstanding light conductivity and can be perfectly integrated into the residual dentition, guaranteeing a natural play of colours.